NIH-funded study examines how BMI is affected by responsive parenting in infancy and early childhood. New results from the NIDDK-funded Intervention Nurses Start Infants Growing on Health Trajectories (INSIGHT) study, indicate that an intervention designed to help first-time mothers effectively respond to their infant’s cues for hunger, sleep, feeding, and other infant behaviors significantly improved the body mass index (BMI) z-scores of the child through age 3 years compared with the control group. 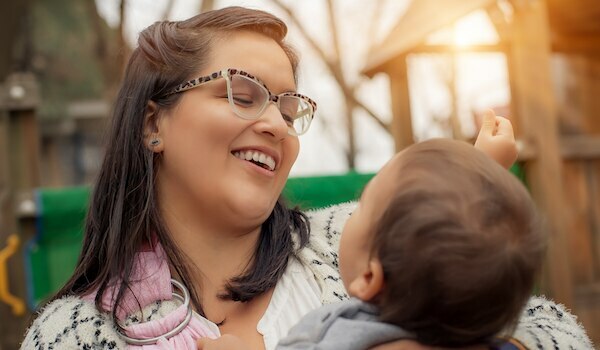 First-time mothers assigned to the “responsive parenting” group were educated on how to respond to their infant’s needs across four behaviors: feeding, sleep, interactive play, and emotional regulation. Responsive parenting encourages parents to interact with their child in a way that is appropriate for their age, prompt, and meets the child’s needs. The INSIGHT study found that, after completing the three-year study, children in the responsive parenting group had a lower average BMI z-score than those in the control group. There were significantly lower rates of overweight or obesity in the responsive parenting group compared to the control group at age 2 years, and these differences were still favorable but not statistically significant at age 3 years. The results of the study were published August 7 online in JAMA. For more information on the study results, read the NIDDK press release.